I just made these biscuits and I did not have any heavy cream so I used some greek sour cream, they spread out a bit more & don't really look like biscuits but boy are they good!! Made these today and they are fabulous! Thank you so much for the recipe. I will be making these on a regular basis. My husband thought they were great also. Made these for the first time today and we were amazed how much we loved them. Only change was I used half-n-half as that's what I had. Our house still smells wonderful. This is another new favorite! Thank-you! One question......are you cutting them in half when you make your egg/cheese sandwiches? 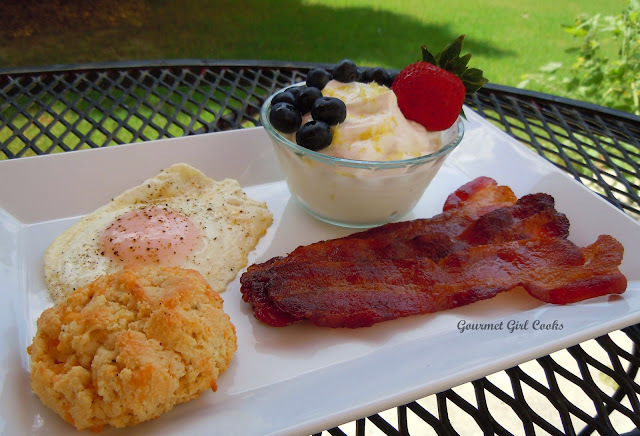 Just as yummy for breakfast today too! We just made these biscuits tonight. Fantastic! Thank you for all your work. Hi GG, I made these biscuits with almond meal in the past, today I prepared them with almond flour(just received 25 lbs.) They were so fabulous that I had to take them off the table, because my husband( he does not eat grain free) ate three of them and asked for a fourth one( Mama said NO!) It was really funny! They were just heavenly, I used medium Cheddar because that is what I had on hand. Sooooo good! My question is :I want to freeze them - how would I handle them ounce defrosted? gg, thank you for the advice! You are right about the almond flour! When I received my shipment I felt like a squirrel (it being fall) trying to store all this flour. I divided it in 1.5 lbs. and vacuum-packed it and tried my best to find a home for all that flour. My freezer and fridge are *over weight* right now ! Husband not thrilled. (has no idea what I accomplished! )LOL.Have a nice weekend! Barbara. I am off to see my grand children! Is there a different between almond flour and almond meal? I have some in the oven and made them with almond meal. GG, so do you use the almond flour for mostly baking? I am new at this and went ahead and ordered the flour due to your testimonial! Do you have a guideline of sorts for using different flours? Thanks for the advice on how to freeze the biscuits, though I don't think I will have the chance to use it, because I made them last night and only one was left!! These were shockingly good. They passed not only the husband test, but the son in law test as well! We could not even wait for the rest of the dinner to be ready before we began munching. I subbed half/half for cream, and asiago instead of cheddar (because that's what I had) and baked them at 400 for 15+ min because that's the temp the chx was cooking at, and oh my my my. At some point I will follow your directions on toasting the lovely little left over and have a blissful few moments (when no one is home so I don't have to share.) Thanks for your creative efforts and hard work creating these fabulous recipes!! Hello Gourmet Girl, How I have been enjoying your recipes (found you on the Wheat Belly FB site--thanks SO much!!!). I have been following a wheat-free lifestyle for about 18 months after taking a Canadian course (Ontario) called Life-Watchers where the first night of 10 we were introduced to wheat-free eating and introduced to the "Wheat Belly". We were still able to eat some grains on a limited basis like quinoa. For the first year I simply gave up bread, etc and it worked OK, but now I am missing those foods and have needed some better options like your recipes and those in the WB cookbook. 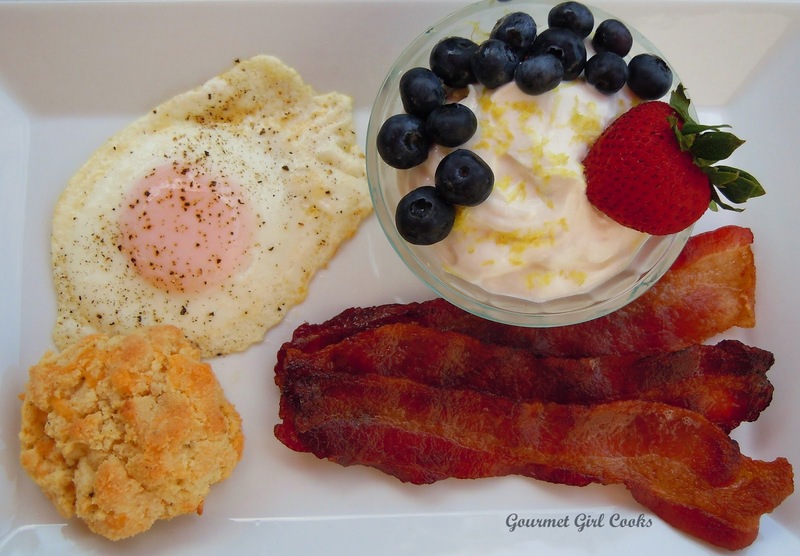 This recipe REALLY interests me, I LOVE biscuits!!! Just wondering if I could make some without cheese or use a mild-tasting cheese (or use less cheddar). 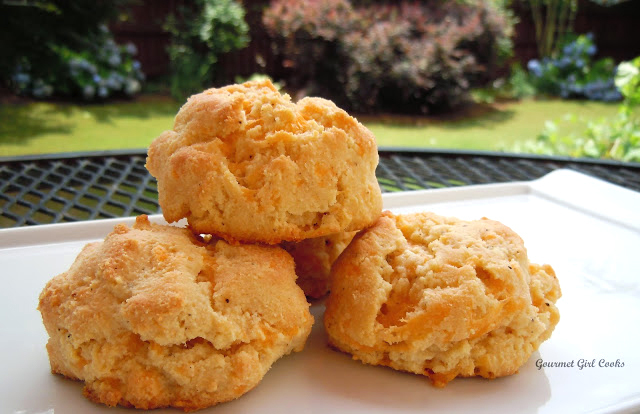 I have in the past tried the Red Lobster biscuits and liked them but my grandmother made THE best biscuits growing up and they were just the plain variety. I'm sure I'll also love your recipe as is, but thought I'd ask your opinion on a plain variety. As well if garlic was added as one reader wanted to do, what form would you add? Another question (sorry to ask so many, all new to me), how much do you use swerve, and where do you buy a sugar-free maple syrup sweetened with xylitol? I use the regular organic maple syrup but it is full of sugar, and I don't like stevia. I cannot find any stores that carry Swerve near me, so info will help if I mail-order it, as to have reasonable shipping, I will have to drive and pick it up across the US border before it's blizzard season in Buffalo. Thanks so much for your amazing recipe, you give me hope that I'll be able to follow this longterm. By the way I am single, live alone and have severe chronic illness and have days often when I cannot do anything, so freezing food is key for me to eat this way. Oh my! It may just be because I was starving (though I know that's not the real reason) but these are ABSOLUTELY delicious! I made them completely according to directions. And yes: mine also passed the husband test. Thank you so much for this recipe. I'm just waiting for my salmon to finish cooking so I can have another biscuit. We just made these and they are incredible! 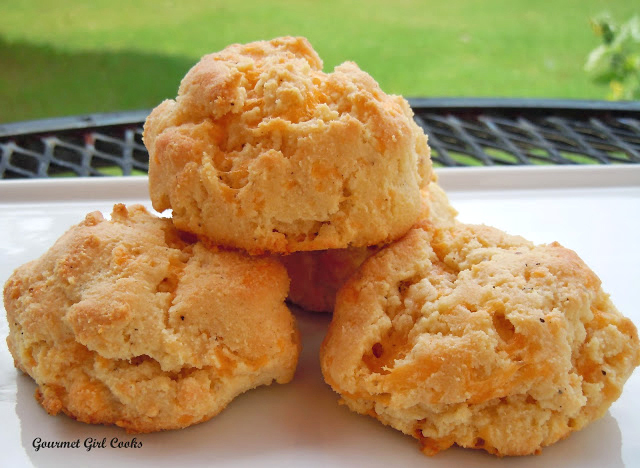 I don't know why anyone would want to biscuits made with wheat after trying these :) Thanks for a great recipe! Happy 4th of July !! I can't find the one I saved from you where it was a chicken breast, slighly breaded and covered with cheese. I made them and put them on these black cheddar biscuits and...what a GREAT sandwich! I cannot locate the recipe for this chicken...can you please tell me where I can find it on your site?? Awesome...it was the Caprese style cutlets!! I have it saved once again and look forward to another caprese style chicken black pepper cheddar biscuit sandwich!! This was so easy and good. Thank you! These remind me of those Red Lobster biscuits but are a thousand times better! Wow! I think the heavy cream makes all the difference. I'm living the Wheat Belly lifestyle and when I want to bake something this is the place I come! Please never stop with these magical recipes or I simply can't survive! Thank you! Wow! I just made this and I loved them. They turned out flatter than your picture but so tasty. I cooked 20 min at 350 then anther 10 at 400, my oven is not too good. Thank you so much for coming up with these recipes. So glad I found this site. I made them for the second time today, but had only 1 cup of almond flour so subbed in 1/4 cup of coconut flour and it was uhhmazing! So light and fluffy! Really good recipe! Thanks for posting it! Hello :) these look awesome and I wanted to make them for my hubs and who is diabetic and trying to watch his weight some. Do you think I’d be able to substitute Greek yogurt or 2% milk for the heavy cream? I’m sure it wouldn’t taste as good (which I’m fine with), but I wonder if it would mess with the consistency.